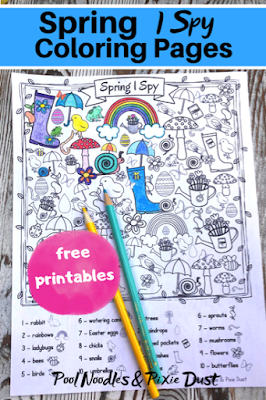 Savvy Spending: Free Spring "I Spy" Coloring pages! Free Spring "I Spy" Coloring pages! How cute is this? You can download a set of free printable Spring I Spy Coloring Pages for kids. This would be fun for Easter, birthday parties, car trips, and more!